Popcorn ceilings are an outdated relic from the 1970s and, like the shag carpeting and avocado green kitchen motif homeowners have removed, they are now faced with removing popcorn ceiling texture. Before you even begin to tackle the enormous task of removing popcorn ceilings from your home, you must have it tested for asbestos by a lab that specializes in the testing and removal of asbestos. Check the government Directory of Accredited Laboratories for a lab in your area. 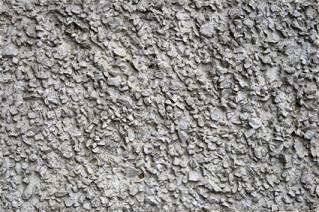 If your popcorn ceiling tests positive for asbestos, call a professional for the proper removal. Anything containing asbestos is never a do-it-yourself job. If it doesn't come back with asbestos, you're ready to free your home of your unsightly ceilings. Now that you know your ceilings are asbestos free, it's time to begin ridding your home of those unattractive popcorn ceilings forever. Pump action spray container: These water containers are available at any home improvement store like Home Depot or Lowe's and usually come in three to five gallon sizes. Drop cloths: Cheap plastic sheets are best because when you are finished, you simply fold everything up in the plastic sheet and dispose of it. Wallboard taping knife: You will find various sized taping knives in the wallboard (drywall) section of your home improvement store. Masking tape: This will hold your plastic drop cloths in place while you're moving around the room. Ladder: Unless you're tall enough to reach the ceiling comfortably, get a ladder. Dish detergent: This will be mixed with water and helps to loosen the bond between the popcorn ceiling material and the drywall. Once you have all your supplies, the next thing you need to do is remove as much furniture as possible from the room. If you have large furniture that you can't remove, buy extra plastic drop cloths and cover it. Then place the plastic drop cloths over the entire floor. Using the masking tape, secure the plastic drop cloths either to floor or the baseboards if you have carpeting. If your ceiling is painted, lightly sand it using a screen sander so the water can soak through. If it's not, you can begin spraying. Fill your spray container with hot water and dish detergent. Use one cup of detergent per five gallons of hot water. Spray a workable area of the ceiling. A workable area means that you can scrape off the popcorn ceiling after spraying and before the water dries. A three feet by five feet section is considered easily workable. Allow the water/detergent mixture to work for 10 minutes. Do this as a test to see how long it takes the water/detergent mixture to loosen the bond. After 10 minutes, try scraping the texture off. If it comes off easily, continue scraping. If it doesn't, let it sit for another five minutes and try again until you have determined the average time the mixture needs to break the bond between the popcorn texture and the drywall. Begin scraping. Holding the wallboard taping knife at a slight angle, begin scraping the popcorn texture off. Continue this process all around the room. Be careful not to angle your knife too sharply or you will gouge the wallboard on your ceiling. Pay attention to the wallboard joints. The joints where two pieces of wallboard meet are taped with either fiberglass or paper joint tape. When scraping this area, be sure to scrape in the direction of the tape and not across it. Scraping across the tape will either tear or remove it. Avoid saturating the ceiling. Over saturating the ceiling with the water/detergent mixture will damage the drywall. Spray until the popcorn texture turns a grayish color and stop. If the popcorn texture doesn't scrape off easily, gradually add more water.